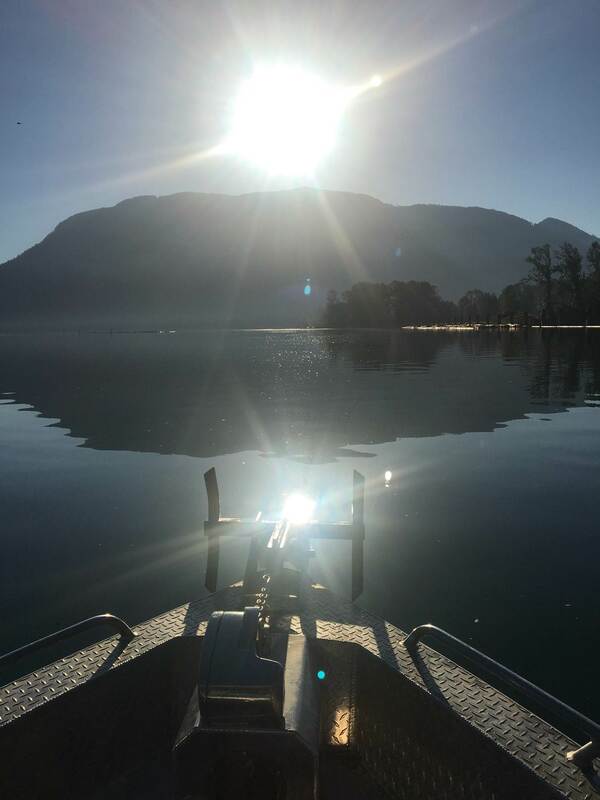 This past week has been good out on the water, we have had charters out Vancouver Harbour fishing for salmon, West Coast fishing for Salmon and Halibut and Fraser River fishing for sturgeon. Looks like some great weather for the weekend so if you are wanting to get out, we still have a few boats available for salmon, sturgeon or fly fishing for trout. 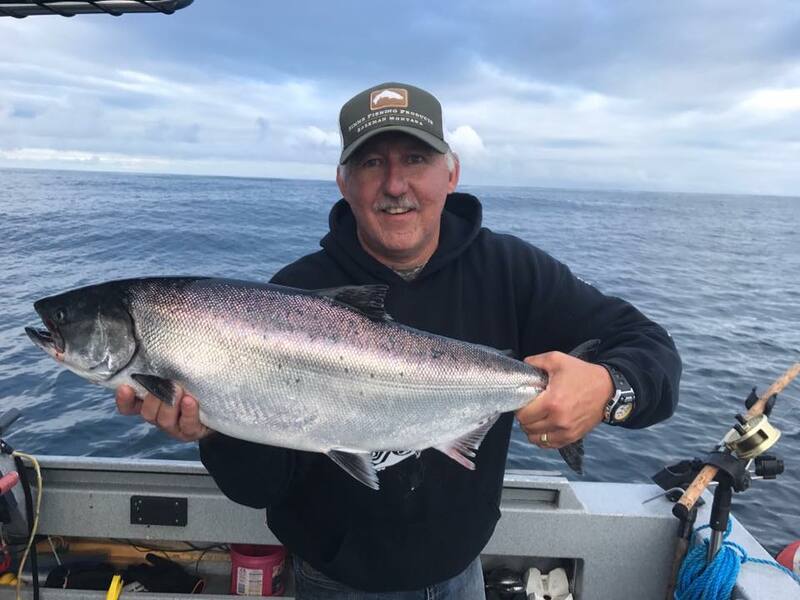 Our very own Frank Kozel getting out on the west coast to experience the amazing fishing we offer out of Quatsino Sound. 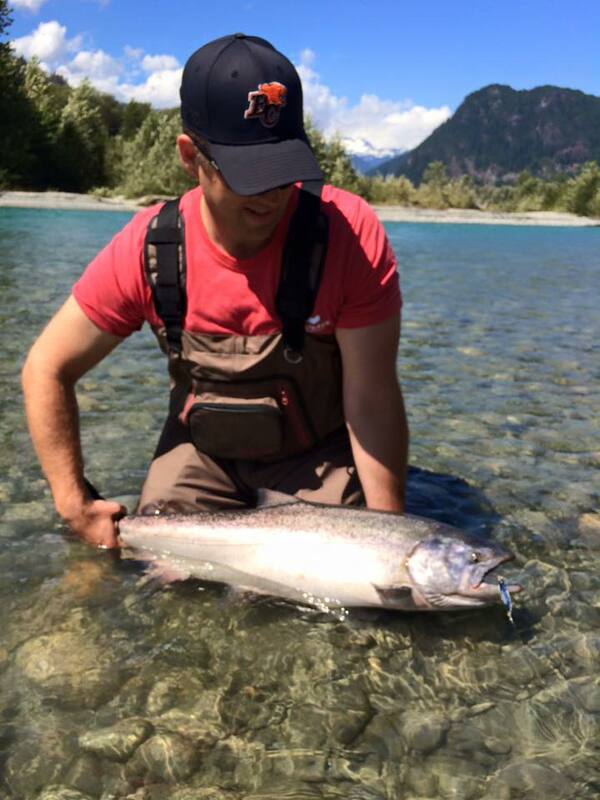 Local salmon fishing has been slow out of Vancouver area but a bit stronger over in the Gulf Islands. If the weather and wind permits, we strongly suggest spending the extra time/money to do the 10 hour Gulf Island adventure. Some nice Chinook being caught over there with much higher chances at a great day on the water. Happy Anniversary to Radine and Thomas Rutschmann, Thomas and Radine have been part of the STS family for 19 years, we wish them many many more. 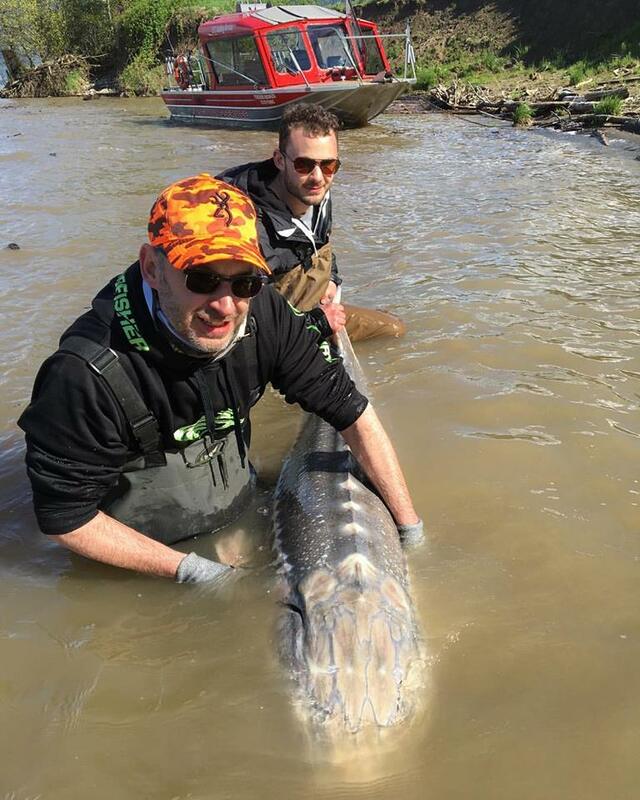 Fraser Sturgeon Fishing has been good, the guys are working hard out there and producing some great results. Best baits have been salmon, roe and pike minnow. I’m sure there are other baits that are working as well but these seems to be the most consistent. Our guides have been working the water between Hope and Mission producing good results throughout the river. It is hard to believe we are almost into August, seems like summer is just getting started and we are now excited about the Fall. STS Guide Matt Bentley was out tearing it up this week, some great fish caught with his group of clients visiting from out of town. 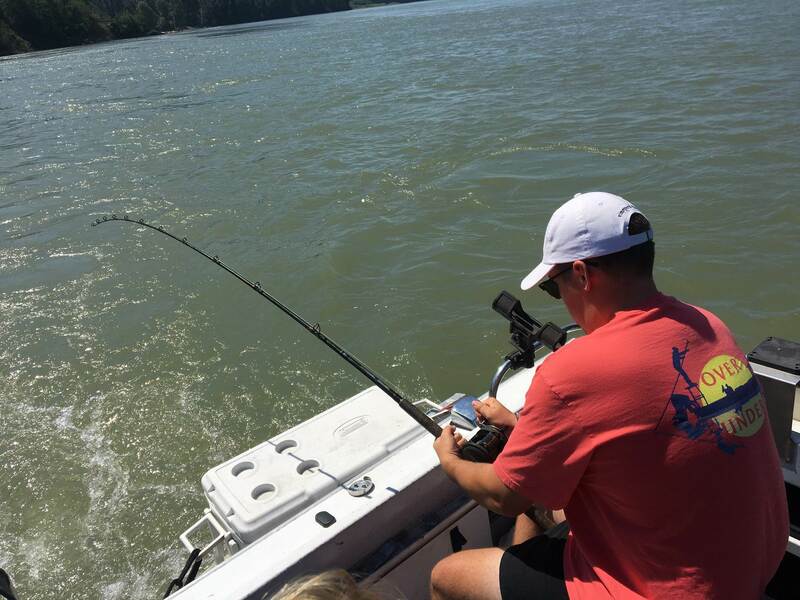 There is no better time to enjoy a day on the river than in the summer when it is hot and sunny, believe me we have our fair share of rainy days so when weather is like this, it’s a great time to get out and enjoy the Fraser River. Local Salmon runs that are in migration to the Fraser are having a slow start, according to Albion test fishery and DFO in season forcasts the sockeye migration has been slow as well as the 4.2 and 5.2 spring and summer Chinook. What does this mean for local anglers, well it means it unlikely that you will be fishing the Fraser for salmon until atleast middle to late August. Having said that, there are still local salmon fishing opportunities in the Vancouver and Howe Sound area and of course our local rivers such as Vedder, Chehalis, Stave etc. 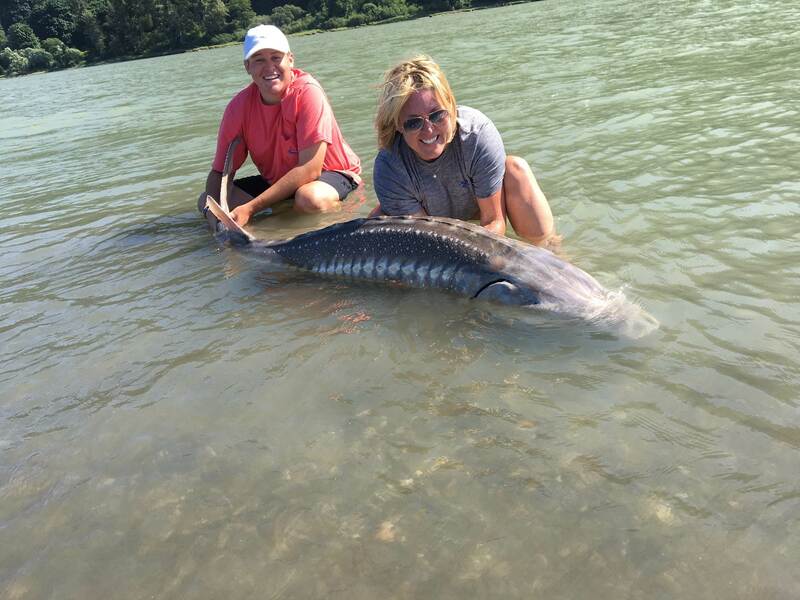 We still have about two weeks left if your wanting to try your luck on the Upper Pitt River, the fishing really dies off after August 15 so if you are looking for a great fly or light spin tackle trip into a remote area, this is a great trip. Currently we are catching Bull Trout, Sockeye and the odd Chinook, this river is all catch and release. You are currently reading Fishing Report Update for July 28 at Hells Gate Jet Boat Tours Blog.